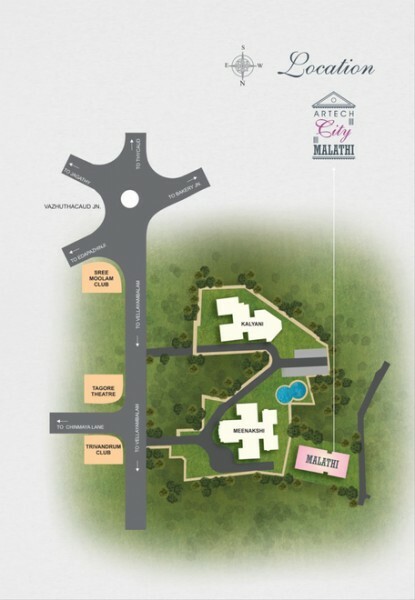 Artech City Malathy is an exclusive development nestled amidst lush greenery. Artech City Malathy is located at Vazhuthacaud, where everything is within easy reach. 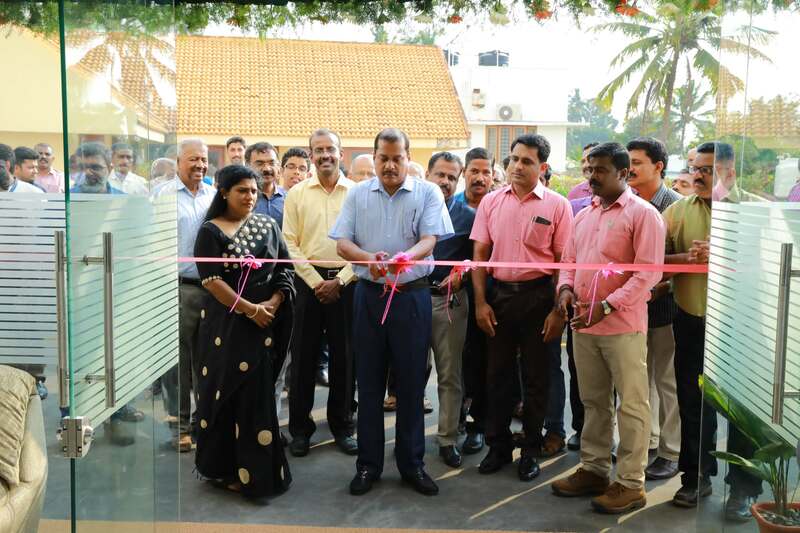 The Campus boasts of a large landscaped garden, green vistas, swimming pool and a fully functionally club with a multitude of leisure amenities like Health Club, Indoor Games, Toddler’s Park, Snack Bar, Herbal Garden for yoga & meditation, Amphitheatre. Artech Malathy offers spacious 3-bedroom apartments ranging in sizes from 1950 – 2050 sq.ft. RCC frames Structure designed for higher seismic consideration with pile foundation. Elegant teak wood entrance door, moulded or flush internal doors with hardwood frames and architrave, imported hardware and number lock system powder coated aluminum heavy duty four-track sliding window with mosquito net, M.S.grill and glazed sliding doors for balconies. Polished front doors and internal doors, double coat plastic emulsion over double coats putty for entire wall except toilets, double coats emulsion for ceiling, two coats enamel paint for grills, toilet walls ceramic tiles up to ceiling heights. Villeroy -Boch or equivalent sanitary wares, imported concealed cistern in all attached toilets, Grohe or equivalent brand premium quality C.P fittings and Grohe or equivalent make divertors for master toilet. Concealed wiring with superior quality PVC insulated copper cables and Clipsal neo c-metro equivalent modular type switches, adequate light & fan points, four 16A power plug points controlled by ELCB & MCB, independent energy meter for each apartment provision for geyser connection in all attached toilets, provision for washing machine in work area and provision for Internet connection in any one bedroom. Provision for Cable TV in living room, master bed and bedroom-1. Water supply through underground sumo tank and overhead tank with with sufficient storage capacity, treated drinking water with reverse osmosis process. CCTV -for podium parking and entrance lobby at G. Floor, boom barriers at entry/ exit of the complex and at the entry/ exit of the podiums. Work status as on 10​-02-2018, we have completed the following. 1st floor Slab RCC work of Artech Malathy has been completed. We are targeted to complete the 2nd Slab RCC work by the end of March 2015. Ground floor slab of the project Artech Malathy, Vazhuthacaud, Trivandrum has been completed. We are targeted to complete the Slab concrete work of 1st & 2nd floor by the end of January 2015. Few snaps of model apartment is also attached here with for your reference.